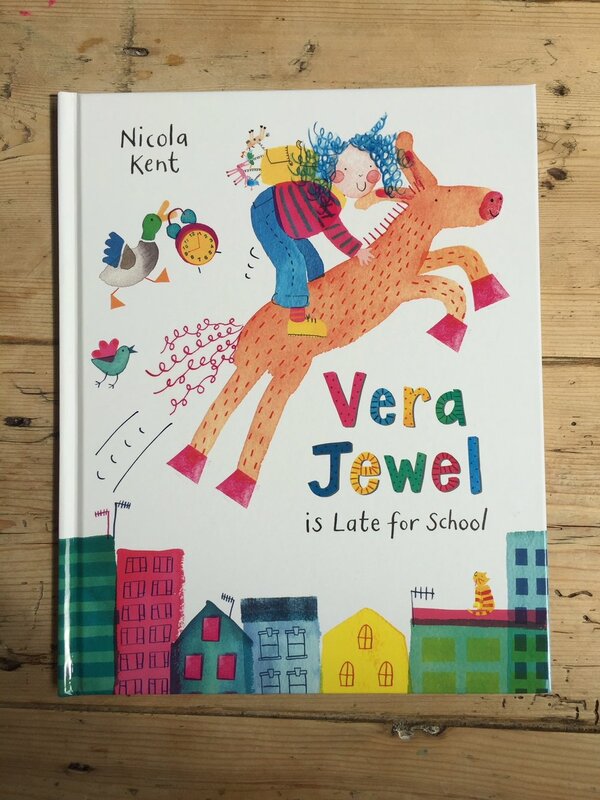 This week I got the advance copies of my new book Vera Jewel is Late for School which comes out on 28th June 2018. I'm so pleased with how they look. The colours have come out spot on and it's so exiting to know she'll soon be joining The Strongest Mum in the shops. Vera Jewel is an idea I first developed about six years ago while doing a writing evening class, and then developed on my illustration MA. She was late for many deadlines on the MA so it's particularly rewarding for me that she's on time for this most important of dates!